State-level differences in the percentage of uninsured Americans, along with other factors, may affect health care access and utilization. 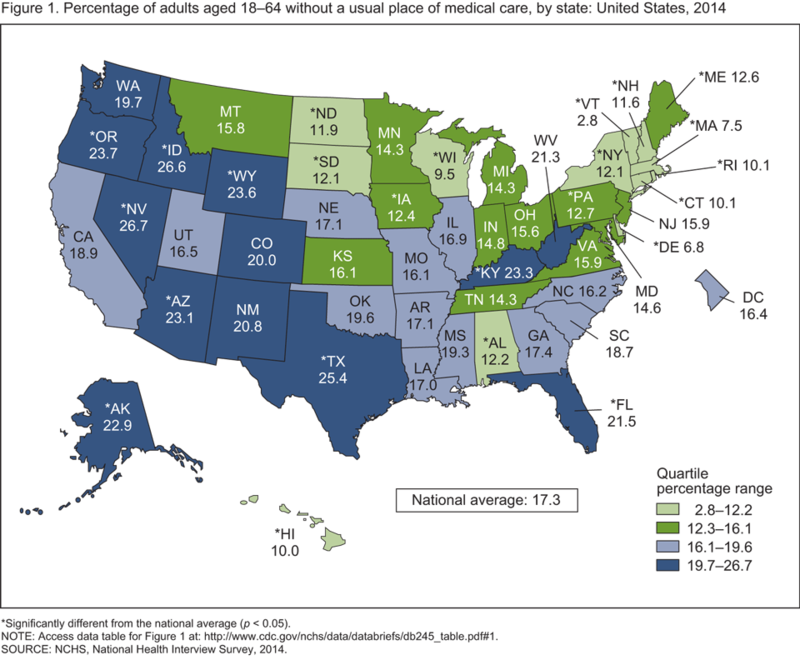 An NCHS report examines the prevalence of two health care utilization measures among adults aged 18–64 by state. Additionally, differences by Medicaid expansion status and state Health Insurance Marketplace type are examined. This entry was posted on Thursday, May 5th, 2016 at 4:28 pm and is filed under health insurance, State data. You can follow any responses to this entry through the RSS 2.0 feed. You can leave a response, or trackback from your own site.